From Before You Were Four. Who remembers when I was tweeting about “Little Sofa” being born? Well… today she is four years old! Four! She is growing from a toddler to a preschooler to an actual little person within a blink of an eye. Time seems to be rushing forward, and before I know it she’ll be going to big school and everything! Taking inspiration from Al over The Dad Network I thought I would blog a list of things that my daughter (probably) wouldn’t remember, but I would. Instead, I figured I would take a photo of my notes (seen above), and save the notebook on a shelf somewhere. So Little One… Here are a collection of memories from before you were 4. Its been 5 years! 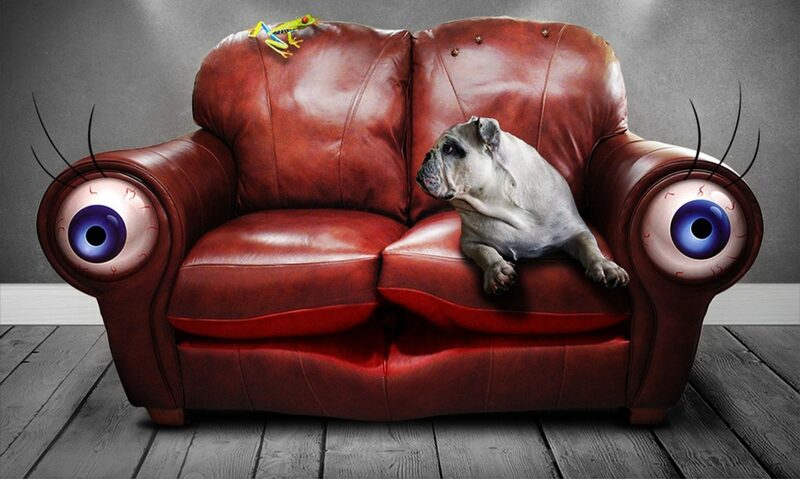 5 years since The Church Sofa had its first blog post. I’m not sure what this really means, but I feel we’re ready to go to first school now… Does that mean that Sofa is growing up? Guide to Raising Hands in Church. 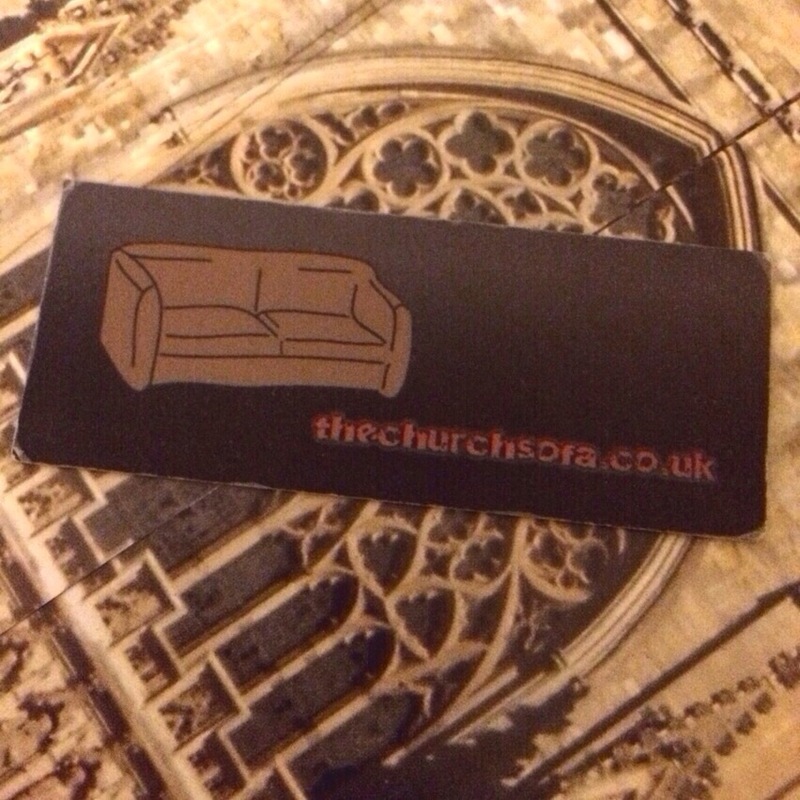 The Church Sofa Guide to Church. Ten Ways to Misbehave at A Christian Festival. What Christian Denomination Should You Be Part Of? Anything you’d want to see more of over the next 5 years? So I don’t know about you, but for years I only associated Advent with calendars and of course, chocolate. To be honest not much has changed in my house as now it’s the kids who delight in the fact that December is the only time, ever, when they can eat chocolate before breakfast. Then of course there are the incessant tinny carols gracing the High Street from about October onwards, the trees going up, the enormous food bills, the planning on what to do with Granny on Christmas Day and wondering if Great Auntie Edith will make it through dinner without falling asleep in her slightly mushy sprouts… Let’s face it, this time of year we can all get a little bit crazy. December can be such a busy month with all the Christmas preparation, but the season of Advent is really about hope, so last year we wanted to see if we could do something to ‘reclaim advent’ and we came up with Share the Hope. Share the Hope is essentially, an online advent calendar (without the chocolate, sadly) that aims to encourage people to think about that message of hope in amongst the busyness, and to share it with their friends. This year Share the Hope is back for the second year and we’d love you to be part of it too. Each day the STH team will be publishing a little bit of hope, including a reflection, a bit of the Christmas story and something for people to share with those around them. There’s a whole new range of contributions for 2014, from people all over the country, from different parts of the church, of all ages and lots of different backgrounds, including an Arts Chaplain, an International blogger, Charity director and the Bishop of Lewes to name just a few. We’d love you to sign up to get some daily hope but then also to share that hope with those around you. Tomorrow, Mrs “Adventure” Sofa is going to be abseiling down Renslade House, one of the tallest buildings in Exeter (Pictured). Now, this would be a crazy thing to do on most days, and its still a crazy thing to do tomorrow, so why is she doing this? Mrs Sofa is undertaking this abseil to raise money for the Exeter YMCA, and the work done to help vulnerable young people from Exeter, and around Devon. Would you be able to help Mrs Sofa raise money for the Exeter YMCA? If you felt able to give even a bit of money to help homeless young people this Christmas, please check out her sponsorship page at justgiving.com. A Catch Up with Tom. Unless you’ve had your head in the Sunday school sand pit, there may have been some church related news over the last week, in that the Church of England synod debated changing the rules over the question of Women Bishops… and decided not to. giftings you might call them, do not conform to what others believe they should be. mental arithmetic techniques, because “they would have fun doing it”! Had I changed? No. Maths, Further Maths, Physics, and Chemistry – oh, and S level Maths too. have of my father is his tears of pride at my Graduation. skill-set, “because it’s dirty, and un-ladylike, dear, and you will find it hard to get a job”, i.e. Corporate Member, and consequently I became Chartered. “God-given” you might say, had lain in helping people to discover that there is a God who loves them? Today I cried for my sisters-in-Christ. who love Him, will not let today be the end of the story, any more than Good Friday was. to nurture you. Continue to do things His way. The miracle will happen.